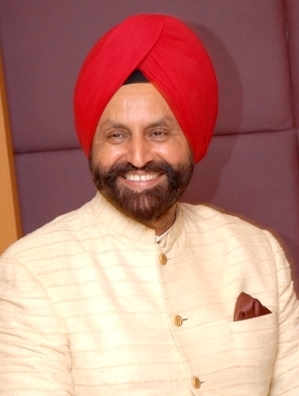 The Manhattan-based Sant Singh Chatwal is Chairman and CEO of Hampshire Hotels & Resorts which owns the Chatwal Hotels & Resorts group. His company owns and manages 14 hotels in four countries, including 10 in the US and two in India. It all started 30 years ago, with the Bombay Palace restaurant chain in New York (now one of the largest Indian restaurant chains in the world). Since then the company has become one of the most prevalent hotel chains in the city with a hotel on virtually each street between 44th and 55th. Chatwal is a canny businessman and hotelier with a keen understanding of what the market wants next. Now he has plans to do for his hotels what he did for his restaurants - take them global. Earlier this year he masterminded an agreement giving Wyndham Hotels Group exclusive rights to franchise and manage Chatwal's Dream and Night boutique hotel brands worldwide. The Chatwal family invite column inches: a few years back Sant Singh Chatwal was instrumental in organising a landmark tour of India for President Clinton. More recently his being awarded the order of Padma Bhushan, the third highest civilian award in the Republic of India, caused some controversy. Meanwhile son Vikram Chatwal is as well known for his partying with the likes of Lindsay Lohan as he is for his part in creating the innovative Dream hotels. Nevertheless one thing is clear- Sant Singh Chatwal knows hotels. A genuine love of the hospitality industry and of hotels specifically, having been lucky enough to have stayed in so many wonderful hotels globally. What is the single best/defining thing about your hotels? The attention to detail, when you stay at The Chatwal New York you don't just receive a bar of soap, it's an Asprey Purple Water glycerin bar, the only one of its kind in any New York hotel and the result of a unique partnership we have with Asprey; the fact that the door handles on each guest room closet and desk has been designed by legendary architect, Thierry Despont to resemble old fashioned travel trunks from bygone years of travel; similarly, the chocolate in our guest room mini bars are of the same Parisian chocolatier that purveyed to Marie Antoinette herself. These are just some examples of the small touches that define The Chatwal New York. The Chatwal brand launched last year with the opening of The Chatwal New York. Can you tell us more about the group? The Chatwal project is my first ultra-luxury hotel brand. The Chatwal represents the combined efforts of some of the greatest talents in the design, hospitality and culinary world. Ours is a unique product. First of all, we won't have 300 or 400 keys for each property. The Chatwal is a boutique and bespoke hotel product, extremely niche. I feel strongly that with this type of product we don't have any competition. We are marketing towards a very high level guest, those that seek space for their security and need full floor access and privacy with the personal service and care that comes with this. The new Dream Downtown is a flagship property for you does this change the nature of how you want the Dream brand to be seen? Dream Downtown marks a significant and exciting new direction for our brand. It is quite different from the uptown property, Dream New York on West 55th Street, which caters to a more touristic and perhaps more business-minded guest who needs access to midtown and all its corporate and business attractions. The objective for Dream Downtown was always to equally appeal to Manhattan locals as well as to out-of-town visitors, which I think we have been successful at thus far due to the hotel's popular status amongst New York's tastemakers and influencers. We wanted to really emphasize the lifestyle components of the hospitality experience with this property, thus the creation of the property's two amazing restaurants - Marble Lane Restaurant and Romera New York, each with its own specific cuisine and clientele - PH-D Rooftop Lounge, the destination lounge atop the hotel, and The Beach at Dream Downtown, the property's French Riviera-inspired pool deck, which is a huge draw with its vibrant atmosphere, great cocktails and excellent food and beverage service. 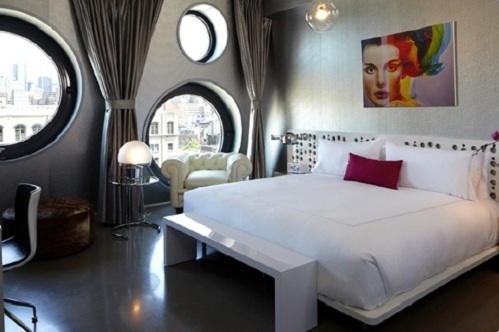 Furthermore, the hotel's surrounding environs - Chelsea and the Meatpacking District - feature their own pull as well, and Dream Downtown does a superb job of giving guests access to all that these neighborhoods have to offer, from art galleries to five-star dining and nightlife. A combination of elements such as the space, the quality of rooms and the hotel product itself and of course the service staff and standards, which in many cases are make or break to a hotel's success. You can have the very best intentions but without an excellent service team and phenomenal standards, you really are quite literally left behind in this market. The Oberoi Rajvilas - the service is impeccable from the moment you arrive. I love the architecture, openness and sense of serenity. The spa is also amazing. Emirates Palace Abu Dhabi - the beach is wonderful, rooms well appointed with a staff that was memorably above and beyond. La Mamounia, Marrakech - the gardens here are breathtaking and the food is some of the best I've ever had. Bukhara, New Delhi. Zuma, London. 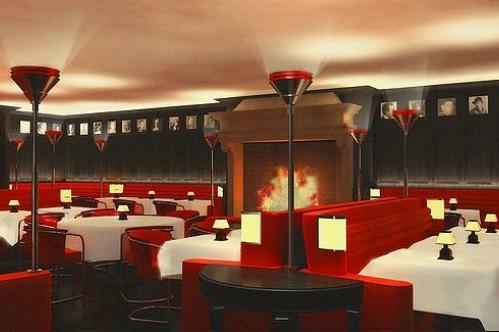 The Lambs Club at The Chatwal, New York. What is your favorite airline for business or first class? Why? Air India - specifically for their non-stop flights to Bombay. The food in incredible and service is excellent. Cabins are spacious and very well appointed. A close second would be Singapore Airlines for all the same reasons. My blackberry, multivitamins, a pen and paper, music to meditate to. An excellent mattress in your hotel room. Ours at The Chatwal New York are hand-made specifically for us by Schifman, which also in the past has created bespoke beds for the White House.